Expanding Responsibilities: Elizabeth Hagerman, a 2000 chemical engineering alumna, is the new vice president for corporate engagement. This expands on her role as vice president for Rose-Hulman Ventures that she accepted when returning to Rose-Hulman in 2012. With many ties to business and industry, the Office of Corporate Engagement has been established to make it easier for companies to explore opportunities and develop alliances with the Institute Elizabeth Hagerman, head of Rose-Hulman Ventures, will lead the new office as vice president for corporate engagement. The new office will seek and develop corporate relationships that will improve student experiences through impactful corporate engagements with various units within the institute, including academic affairs, career services, the Office of Diversity, and Rose-Hulman Ventures. "As our educational environment has become more complex, our relationships with the corporate world also have become more varied," says President Jim Conwell. "This new office will define and implement the strategy that will lead to even stronger ties with our corporate partners." In her new role, Hagerman will be supported by Rick Stamper, interim vice president for academic affairs; Kevin Hewerdine, director of career services and employer relations; Mitch Landess, director of business development and operations at Rose-Hulman Ventures, and Brandon Zollner, director of corporate and foundation relations. Hagerman has served as vice president for Rose-Hulman Ventures since the spring of 2012, overseeing successful product development and prototyping that have helped companies grow. She has a wealth of experience in business development, business assessment, and emerging technology evaluation through leadership roles at Baxter Healthcare in Los Angeles. She led the global integration of a Baxter Biosurgery product acquisition and licensing, and worked with Baxter Biosurgery's business development office to provide scientific assessment of more than 300 acquisition targets, including the addition of a $330-million company. While at Baxter, Hagerman also worked with research, development, and marketing teams in the United States and Austria to advance product development, coordinate academic research with Baxter Biosurgery products, and manage strategic planning for next generation product launches and brand development. 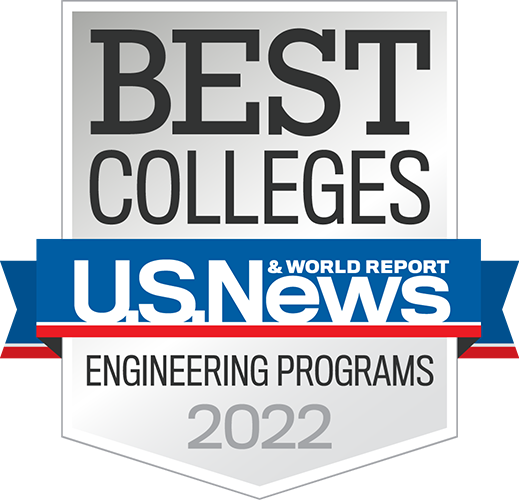 "Elizabeth has provided excellent leadership as Rose-Hulman Ventures has continued to provide hands-on educational opportunities for our students, while paving the way for technological advances to client companies," says Conwell. 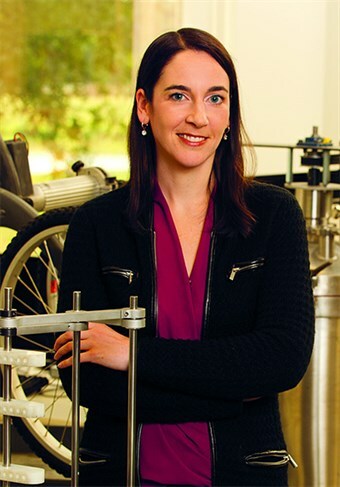 Hagerman earned a bachelor's degree in chemical engineering from Rose-Hulman in 2000 before receiving master's and doctorate degrees from UCLA in biomedical engineering, with a focus on orthopedic biomaterials. She received the Rose-Hulman Alumni Association's Distinguished Young Alumni Award in 2008.